Sandy Springs Stars and Stripes Fireworks Celebration. On Sunday, July 2, there’ll be live music by Shiloh starting at 7:30 p.m. followed by fireworks at 9:45 p.m. on the Concourse Lawn (Five Concourse Pkwy) in Sandy Springs. Prelude to the 4th. On Monday, July 3, there’ll be live music by DJ SUSPENSE and R&B, Inc. on the Lawrenceville Lawn (210 Luckie St), food trucks, a Kids Zone, & more. The celebration starts at 5:00 p.m., and a fireworks display will take place after the performance. 4th of July Celebration at Centennial Park. Tuesday, July 4. There’ll be live music by J-Fly and other artists followed by a fireworks display at dark. Gates open at 6 p.m.
Pied Piper Parade, Concert & Fireworks on the 4th. Tuesday, July 4. Decatur’s 4th of July Pied Piper parade sounds like fun. The parade starts at 6:00 p.m. and winds its way through downtown Decatur. Participants include you and anyone else who chooses to follow along with their decorated bicycles, skateboards, wagons, etc, as it passes by. The Callanwolde Concert Band performs at 7:00 p.m. at the Community Bandstand, and the fireworks display starts at approximately 9:00 p.m. Mall of Georgia’s Star-Spangled Fourth on Tuesday, July 4. Starting at 5:00 p.m., there’ll be live music with performances by The Woody’s & A1A: The Official Jimmy Buffet Tribute Band, plus the kids can burn off energy in the Kid Zone. The fireworks show starts at 9:35 p.m., and there’ll be a post-fireworks screening of The LEGO Batman Movie. July 4th Festivities and Fireworks at Wills Park in Alpharetta. Tuesday, July 4. 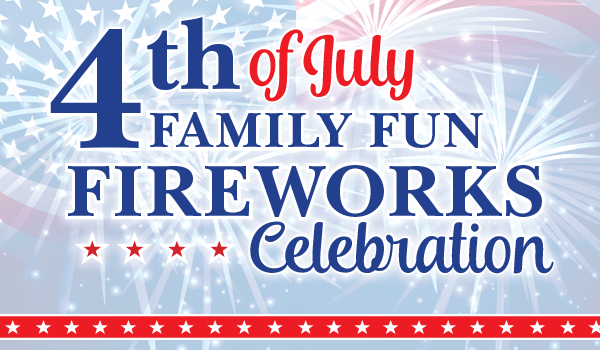 From 6:00 p.m.-9:30 p.m., there’ll be children’s activities on the lawn behind Alpharetta Community Center, live music by the Alpharetta City Band & others, plus a fireworks display at dusk. July 4th on the Marietta Square. Tuesday, July 4. The Marietta Freedom Parade steps off at 10:00 a.m. at Roswell Street Baptist Church, heads west on Roswell Street, north on East Park Square past Glover Park, down Cherokee Street & ends at North Marietta Parkway. Following the parade, stick around for a Fourth of July Festival, featuring an arts & crafts show, live music, & a fireworks display. Dunwoody 4th of July Parade. The parade steps off at 9:00 a.m. on Tuesday, July 4, at the intersection of Mount Vernon Road and Jett Ferry Road and marches down Mount Vernon Road to Dunwoody Village.